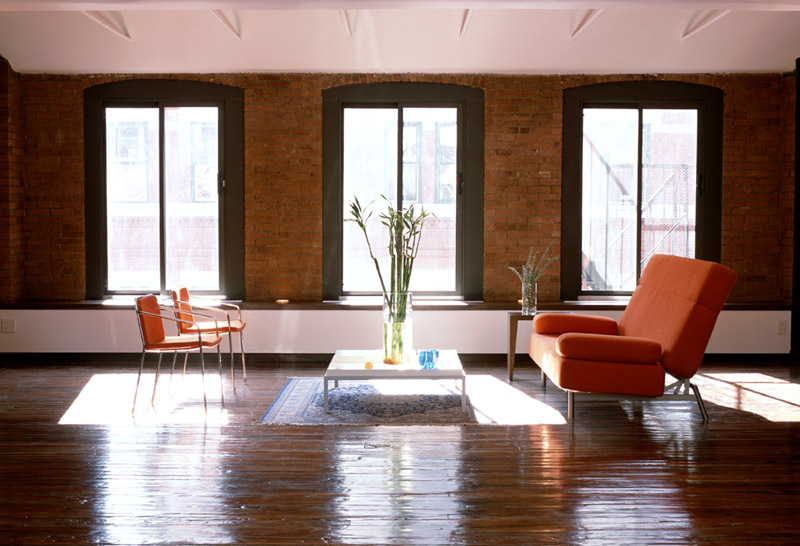 Located in the Tribeca district of New York City this 1,800 square foot residential loft space is housed in one of the areas former warehouse structures. 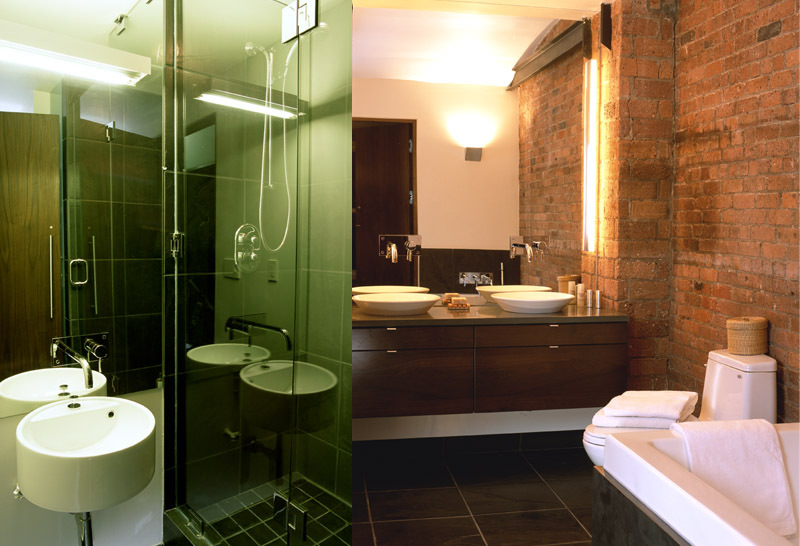 In designing this two Bedroom-two Bathroom loft I set out to restore the existing floor, brick walls and vaulted ceiling and to magnify their presence. I constructed the new interior spaces using clean lines and a reductive architectural design strategy in order to produce tranquil spaces while combining dark walnut finishes and slate tiles to give the space a residential warmth. Photography by Bruce Lee Berger.